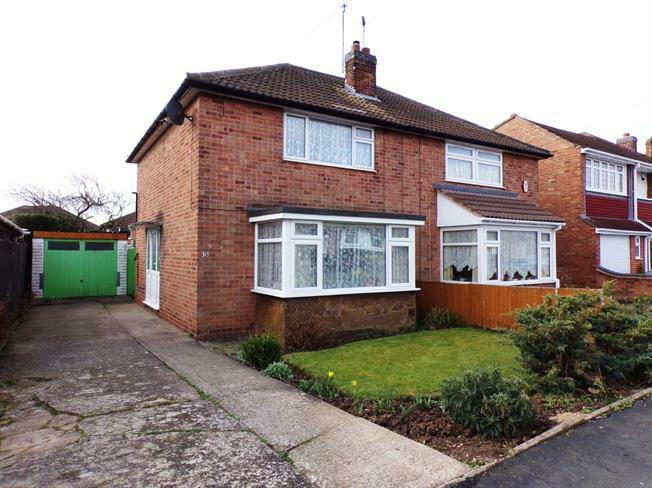 2 Bedroom Semi Detached House For Sale in Leicester for Offers Over £180,000. This property's price has dropped from £190,000 to Offers Over £180,000. A well presented two bedroom semi detached property which has accommodation comprising hall, spacious lounge and kitchen diner. On the first floor are two double bedrooms and a modern fitted wet room. Outside the property has a driveway to the side providing ample off road parking which leads to the garage. To the rear is an attractive southerly facing lawned garden. This fantastic property would make an ideal first time buy and is being sold with no upward chain.